RPGs are some of the most immersive games, but they can also be challenging and very entertaining. Completing quests, exploring interesting worlds and growing your characters are some basic traits of this game genre. Today we’re going to share some of our favorite RPG games for Android. These games are perfect to play on mobile and can keep you busy for many hours with their intricate story lines, multitude of characters and an equally rich selection of equipment and exploration paths. 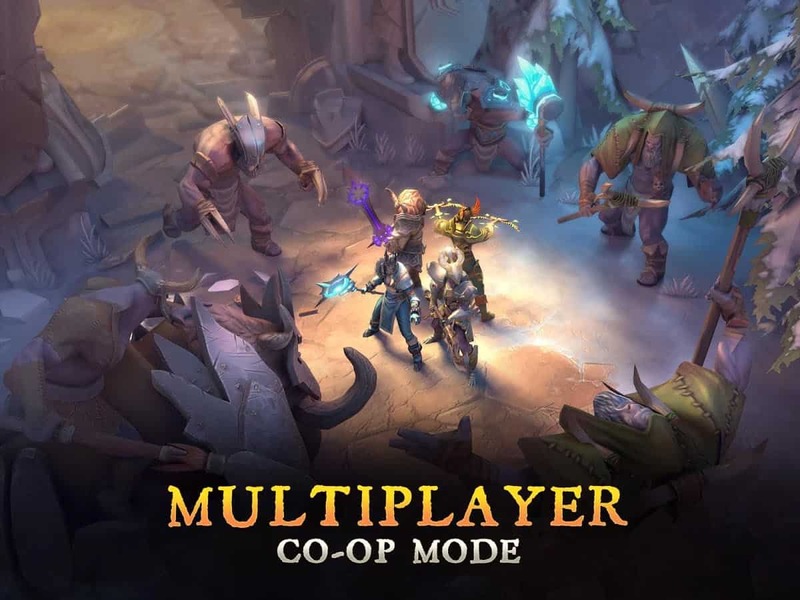 While far from perfection, Dungeon Hunter 5 is an incredibly intricate RPG game. You can play in online mode, in story mode or in co-op mode, the latter allowing you to team up with your friends. The game has an impressive selection of more than 900 weapons and plenty of skills to unlock. Add weekly and daily events, leaderboards, rewards and whatnot that are all reflected in the game’s size which can quickly get to several GB of data. Which is even more proof it can keep you entertained for a really long time. OK, so this game has some pretty amazing graphics right? Even if you’re not a fan of the old Final Fantasy games, I’m sure you will quickly get drawn by the addictive plot and the tap-friendly battle system. 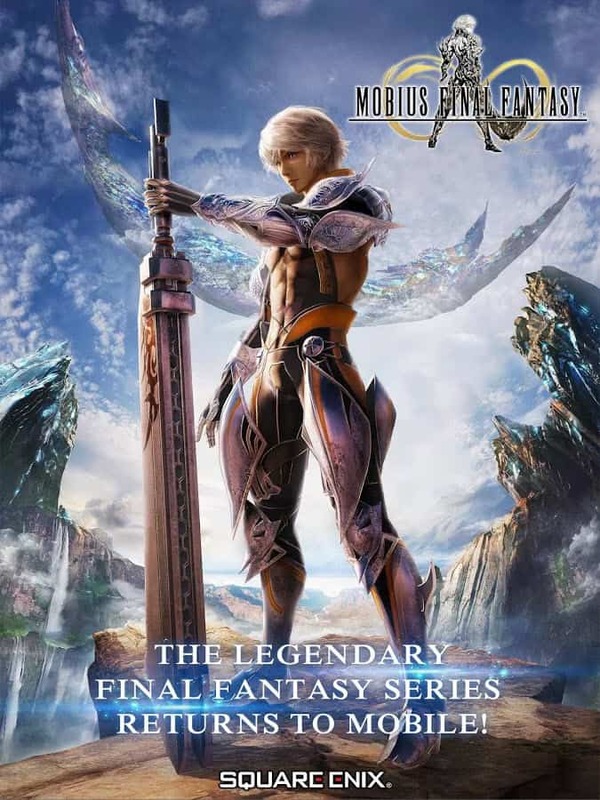 Also, Mobius Final Fantasy has an interesting job system that offers plenty of special abilities to explore while testing various roles for your hero in battles. 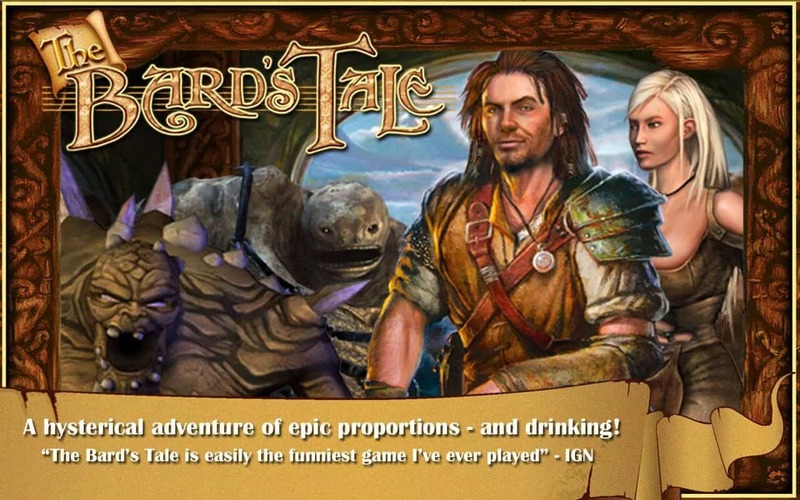 If you’re feeling tired of playing only as awe-inspiring heroes you should give Bard’s Tale a try. In this game, you can play as a character that would rather sip ale while trying to woo the ladies instead of acting like a real hero. You will summon party members to take damage from you or to help you in the battle, and you will play magical songs to heal them. Sounds like fun? You betcha. 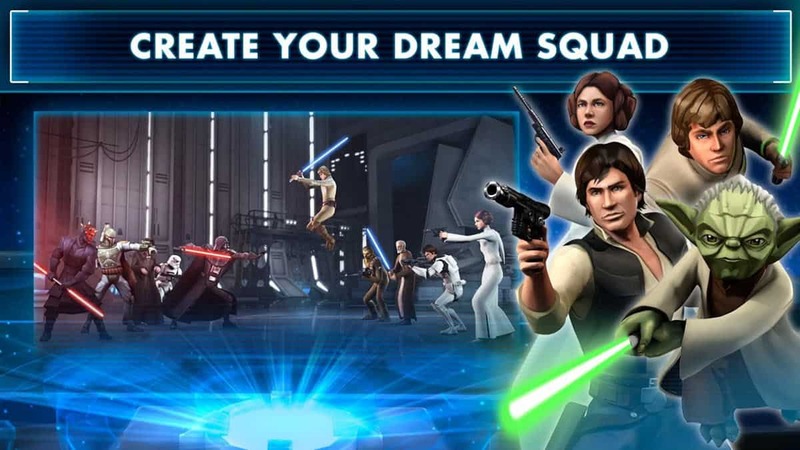 Galaxy of Heroes is one of the best Star Wars games on mobile, and it’s a guaranteed success for RPG fans. This game relies on a combination of collectible cards and turn-based fights, as well as the ability to join and play with your guild. There’s no shortage of content which includes team raids, as well as daily activities so there’s always some new adventure waiting. This game seems deceptively simple at first glance. However, after less than 30 minutes of gameplay, you will realize it’s actually quite complex. Except for the dialogues and storyline – those definitely need more polishing. 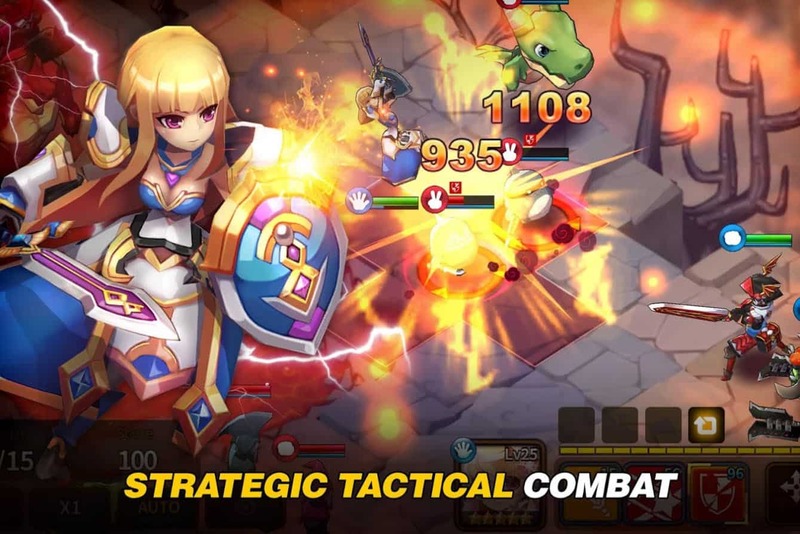 Fantasy War Tactics is another turn-based RPG and it bundles over 50 heroes, hundreds of items and 180 dungeons for you to explore. If you have the patience to get over the initial stages you will find a challenging and intricate game that’s worth playing. 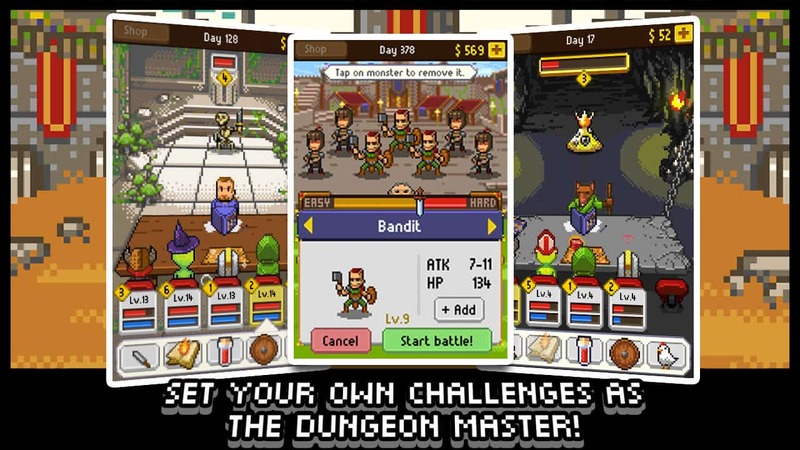 I felt like we needed something retro in today’s roundup of RPG games for Android, so check out Knight of Pen and Paper. You will not only play as warriors, but also as the dungeon master so you get to decide if you want to fight in a certain battle or not, and which of your characters control the warriors. Yes, it seems more complicated than it actually is, but it’s also super fun, and the +1 edition comes with a lot of extra content. In between adventures, take a break at the Tavern where you can switch out party members and store heroes. What other great RPG games for Android have you played so far and which one’s your favorite?